Here is a look and an up close eye shot using products from the Shu Uemura for Kye products. Shu Uemura Brow: Sword Eyebrow Pencil in Dark Rose. Shu Uemura Eyebrow Manicure in Dark Rose. Shu Uemura Brow: Palette Eye Brow Powder in Cappuccino/Dark Rose (the Dark Rose shade blended on the lid and lower lashline). Shu Uemura Drawing Pencil in ME Pink 12 (on the waterline). ADDICTION Sparkling Colored Mascara WP in 01 Tough Love (on the top and bottom lashes). Shu Uemura Sheer Color Balm Lip Color in Melt in Orange. 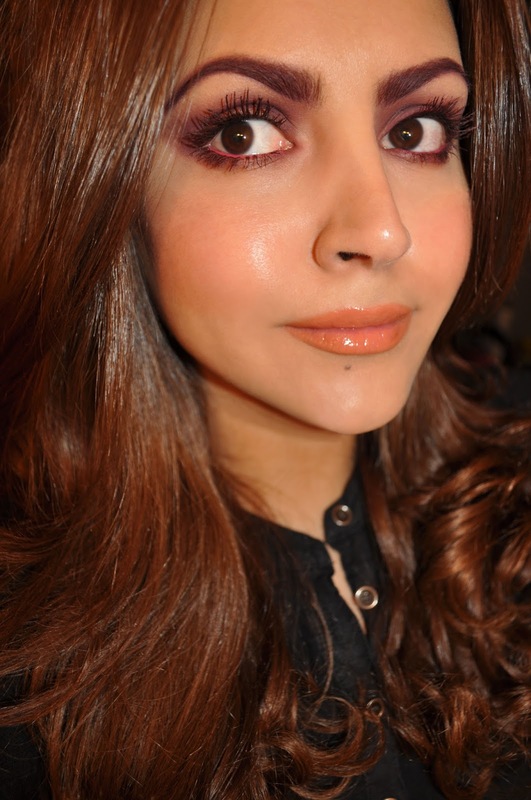 Shu Uemura Brow: Sword Eyebrow Pencil in Dark Violet. Shu Uemura Eyebrow Manicure in Dark Violet. Shu Uemura Brow: Palette Eye Brow Powder in Cappuccino/Dark Rose (the taupish-mauve grey shade blended on the lid and lower lashline). Shu Uemura Drawing Pencil in ME Navy 61 (on the waterline). ADDICTION Sparkling Colored Mascara WP in 04 Night Dive (on the top and bottom lashes). What! I highly recommend you do. It's such a fun, cool way to add an eye-catching pop of color.